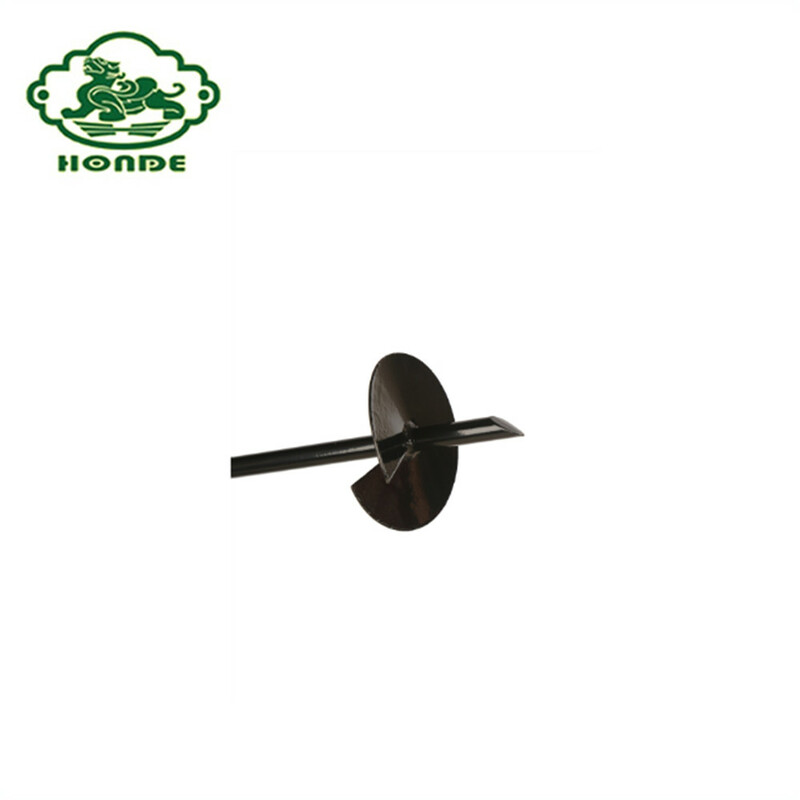 Pile With One Blade has a very sharp auger and it can turn easily into or out of the ground. 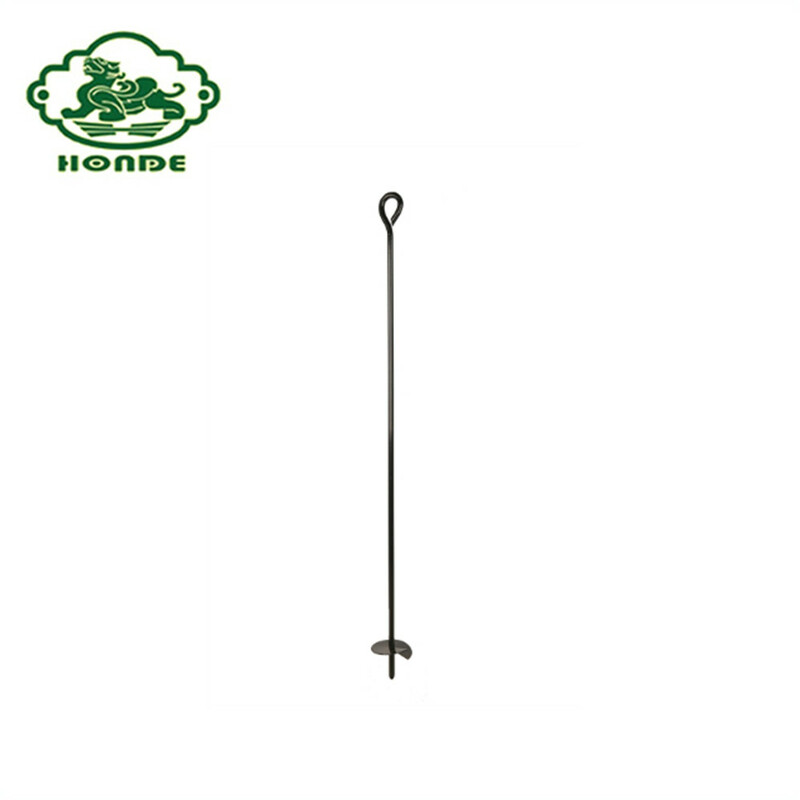 Guy rope, wire or cable is easily attached to the anchor eye. 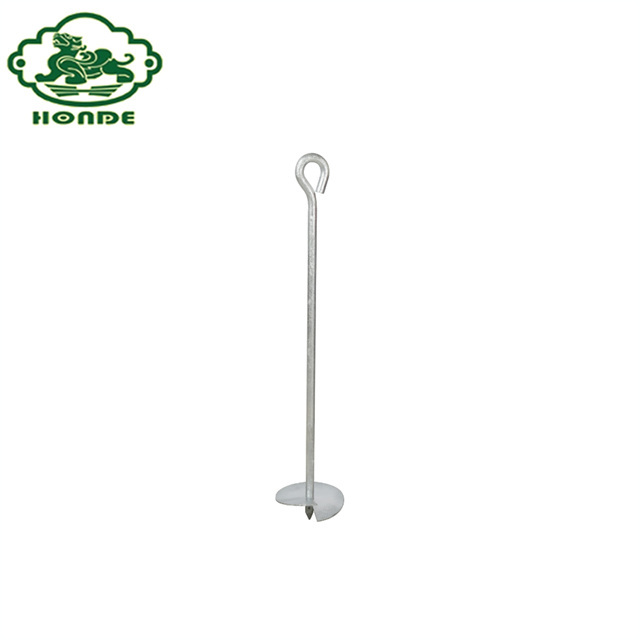 The volume of Ground Screw Anchor Pile is very thin and can be packaged easily. 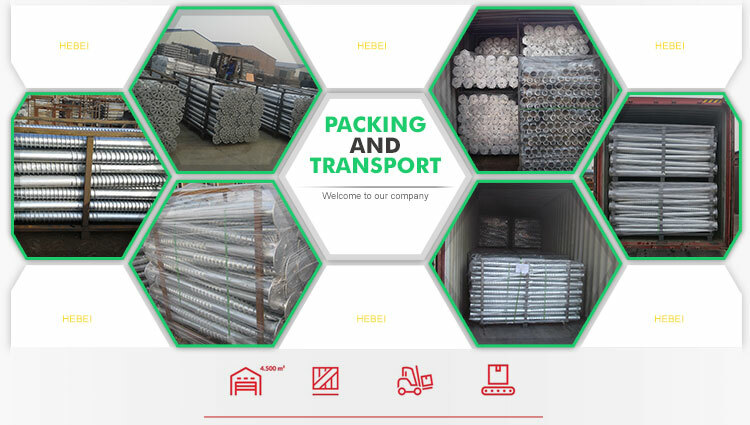 In general, the delivery time of Blade Earth Screw Pile is very fast and specific time please ask our salers. 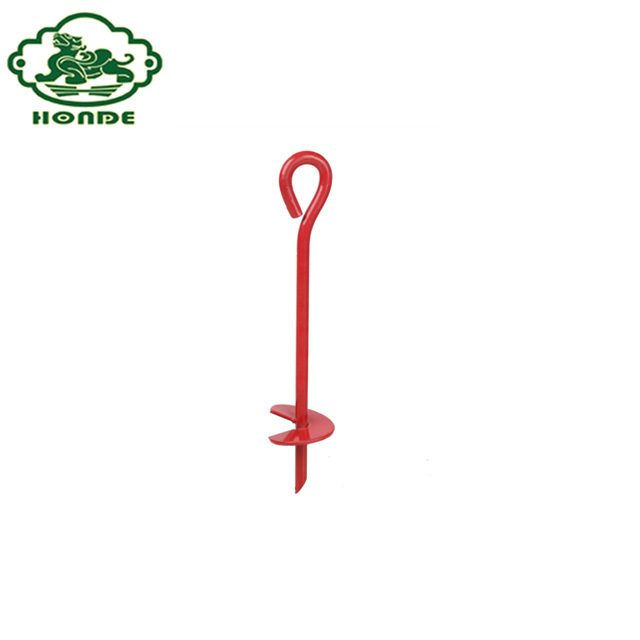 We can supply earth anchor with high quality and best price for you. 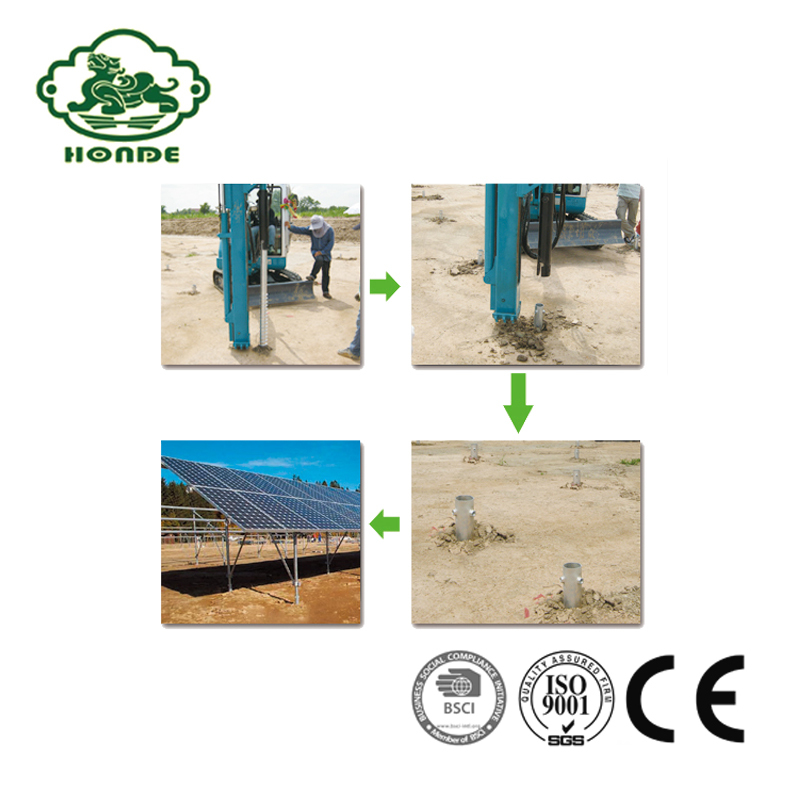 Every earth anchor will be produced as standard and tested strictly. 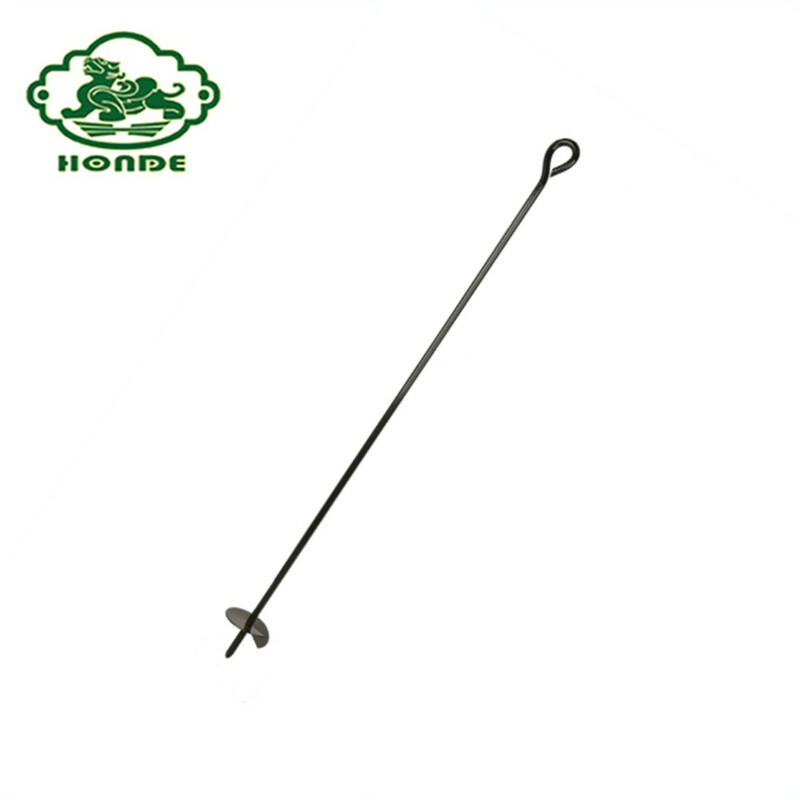 Firstly, after we received your payment, we will purchase the best raw material for you at once. 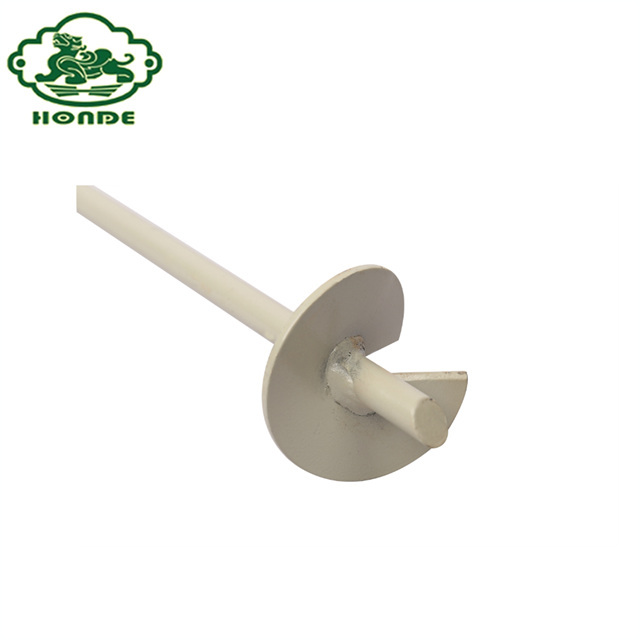 Secondly, cutting according to requirements and take the medium frequency heating. Thirdly, welding spiral points. 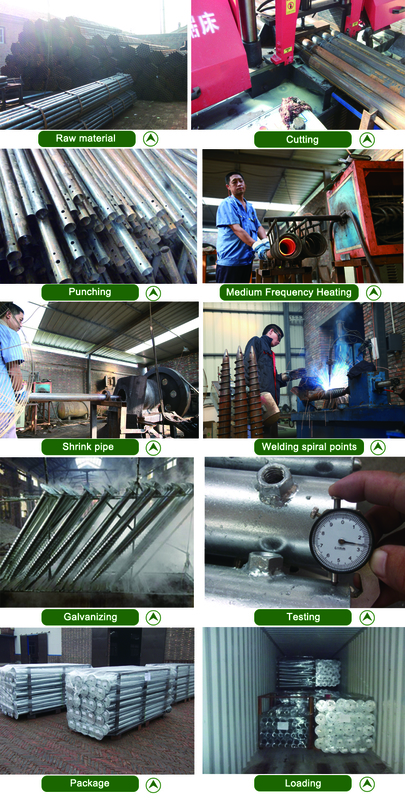 Fourthly, galvanizing or Painting for earth anchor and testing carely. Lastly, we will pack earth anchors and loading on container. 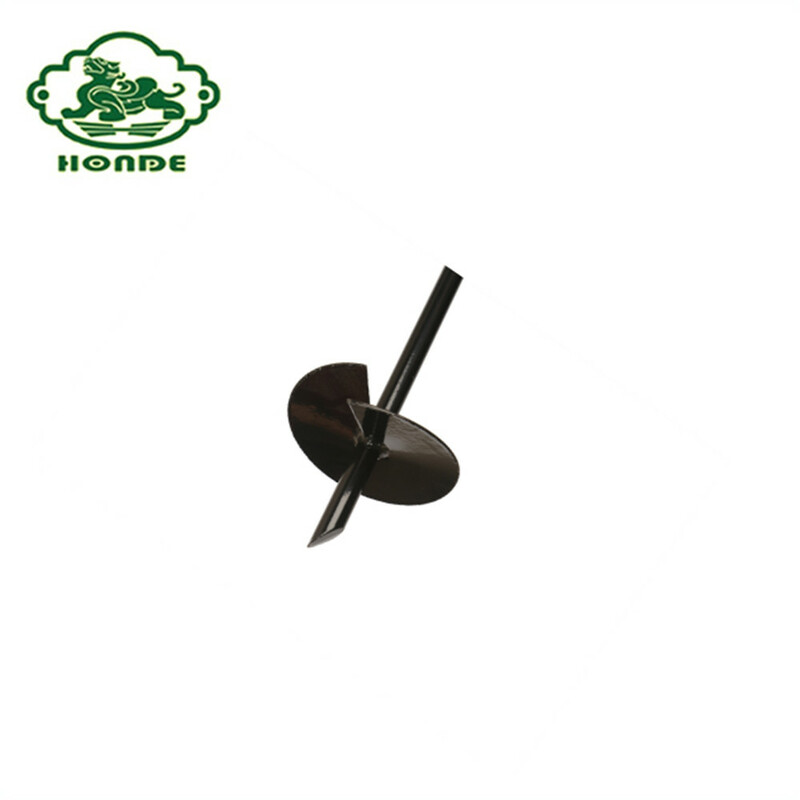 Every producing step, we will arrange professional worker to take charge, so we can guarantee the quality of earth anchor is best. 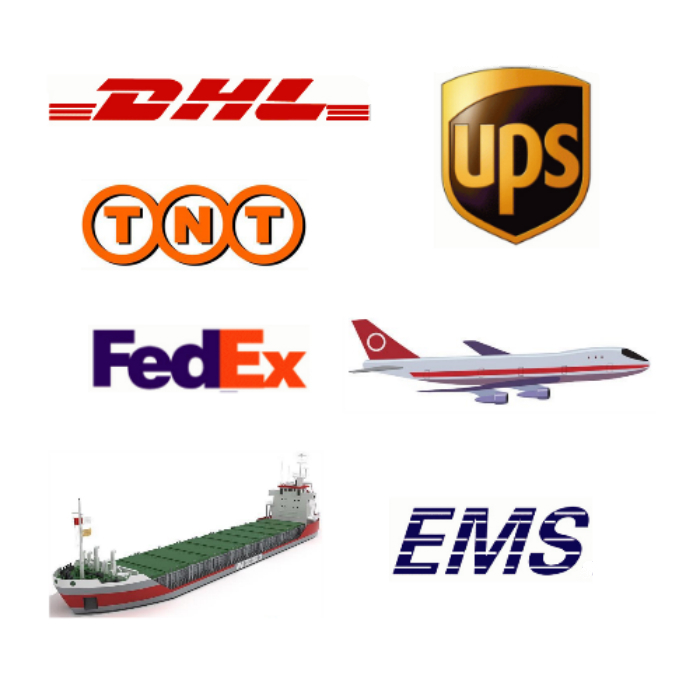 According to the qty you need for earth anchors, we can arrange different ways of shipping for you. No matter which ways you choose, we will be responsible for you in whole course. 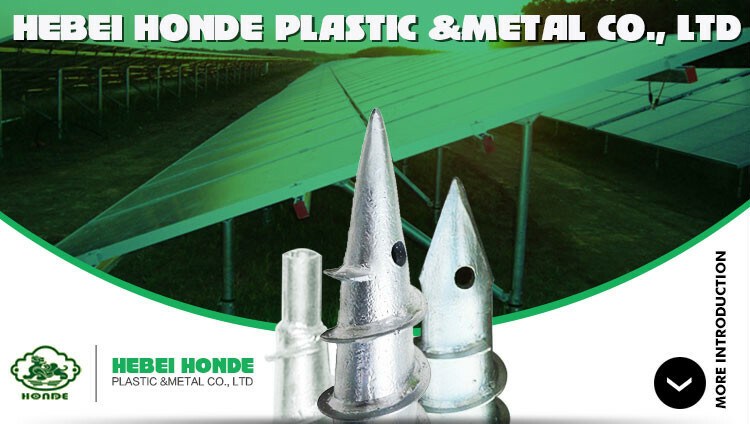 HEBEI HONDE PLASTIC & METAL CO.,LTD is a company mainly engaged in ground anchor, pile driver and solar mounting system and wire mesh....The company was established in 2007, has many famous enterprises at abroad( such as KRINNER, ALD, LIDL, KEMRE company) to establish a long-term friendly business relationship. 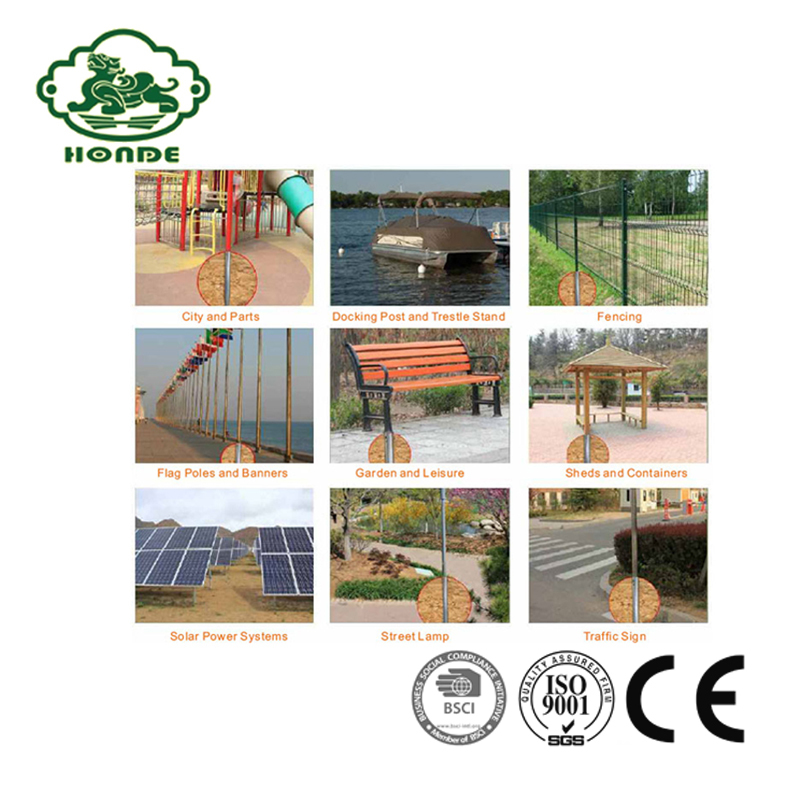 Our products are exported to Europe, Russia, Japan, Thailand, Holland, Australia, etc. 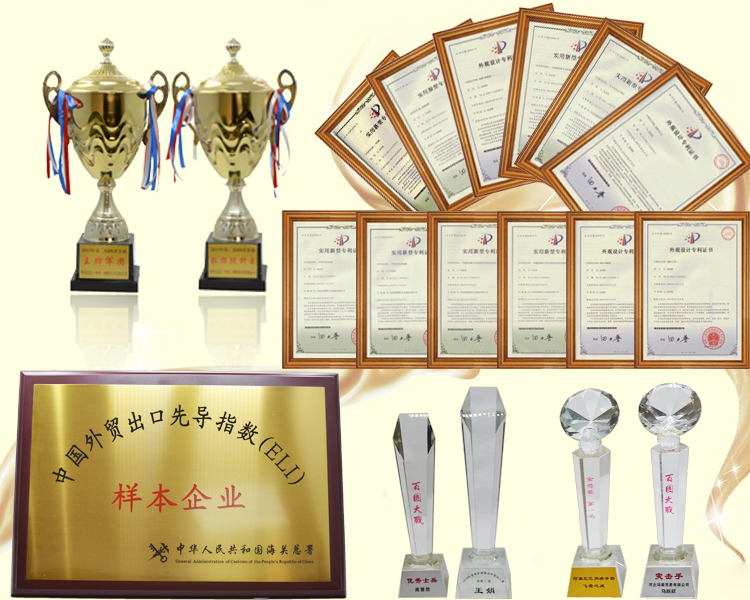 We have been accepted by ISO9001 quality system and BSCI, BV and CE certification and we have advanced automatic welding equipment. 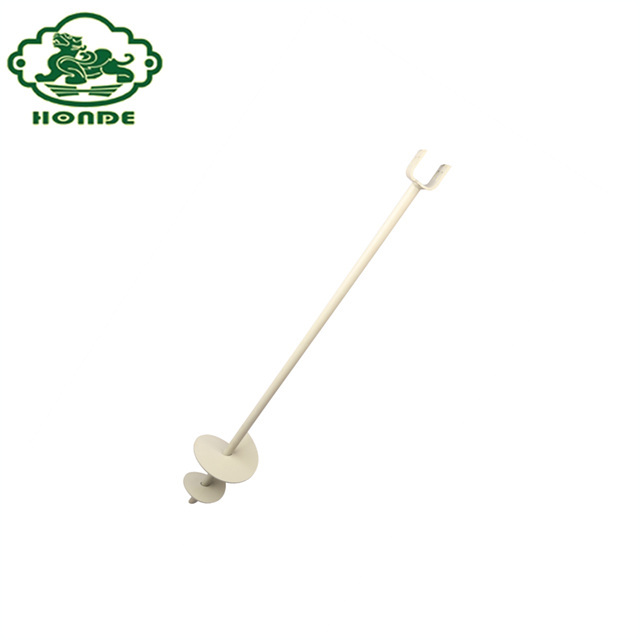 My company of "quality first, reputation first" principle, provide customers with quality and quantity of various types of products. Excellent quality, good reputation over the world, orders are welcome.